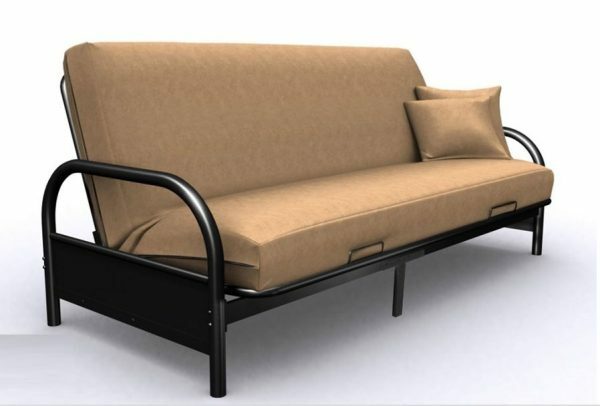 This Black metal futon looks great in just about any room in the house. Canadian made Futon Mattress. Black frame. Mattress colour will very with current stock ! Black, Blue, Burgundy, Green, Tan.